If you need the weather forecast, sports scores, or just want to hear your favorite playlist, the Alexa virtual assistant on Amazon’s Echo can help you out. 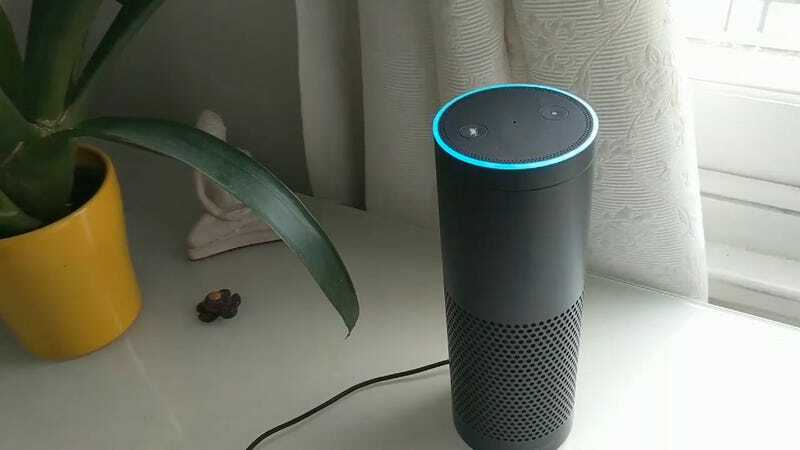 Where Alexa doesn’t have your back, however, is when someone is breaking into your home, and you need to call the police for help, as Steve Hogarty discovered. Thankfully, Hogarty wasn’t in any real danger, and was mostly curious about what Alexa would do if he needed her to call 999 (the UK equivalent of 911) on his behalf. He also couldn’t even successfully order a gun using his Echo, but it did successfully add it to his shopping list, for the next time he visits the gun store.